Jack­box Games has been putting out some qual­ity party games for some time now. I would eve go as far as to say that they rev­o­lu­tion­ized the party video game genre with the release of the orig­i­nal Fib­bage. After sev­eral new entries, there’s always the chance that they could be run­ning out of ideas. Not every pack of games has been lived up to the high highs of the series as a whole, but I am pleased to report that The Jack­box Party Pack 5 has some fresh new games that keep me con­vinced that Jack­box Games still has the magic touch in cre­at­ing awe­some party games. 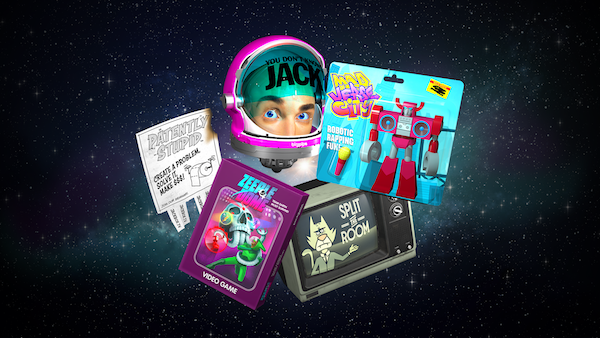 Let’s go through each of the entries in The Jack­box Party Pack 5 indi­vid­u­ally to dis­cuss what makes each of them great. Coop­er­a­tive games that require a lot of com­mu­ni­ca­tion seem like they are played best in per­son. This was the thought issued by the orig­i­nal order-delivering chef game Over­cooked. While this cer­tainly makes a lot of sense, it can be decep­tively hard to get the right peo­ple together to have a sat­is­fy­ing gam­ing ses­sion. 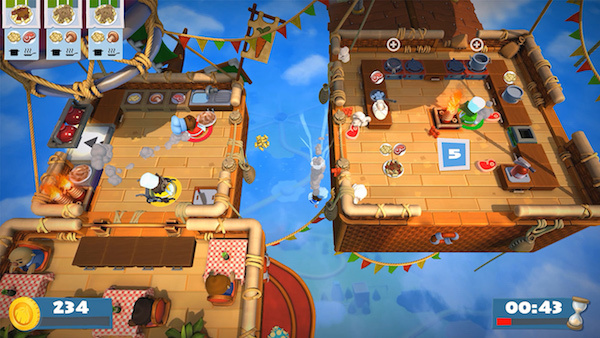 Ghost Town Games looked to solve this by adding online play to their sequel, Over­cooked 2, but also man­aged to squeeze some sur­pris­ingly game-changing new fea­tures that makes for a sat­is­fy­ing return to the Onion Kingdom. 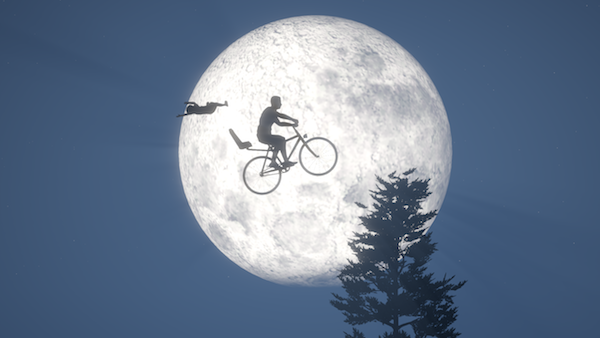 Video games are often made with a very spe­cific pur­pose. Some are designed to be played all by your­self on a dark stormy night. Oth­ers are built to be played with friends either coop­er­a­tively or com­pet­i­tively. Ever since stream­ing became a big­ger part of gam­ing, a new type of game has emerged: one that you are meant to watch. 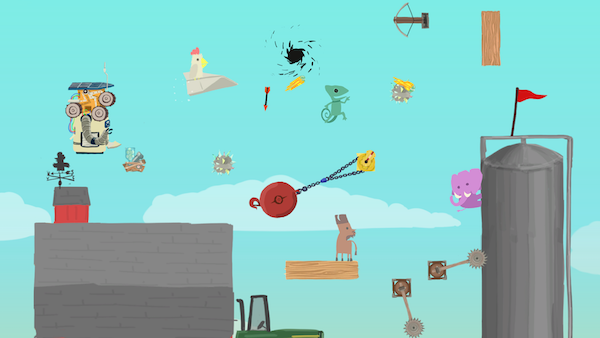 Guts and Glory is one of those games that begs to be spec­tated as you acci­den­tally evis­cer­ate a man rid­ing his bicy­cle through a gaunt­let of buzz saws and land mines. 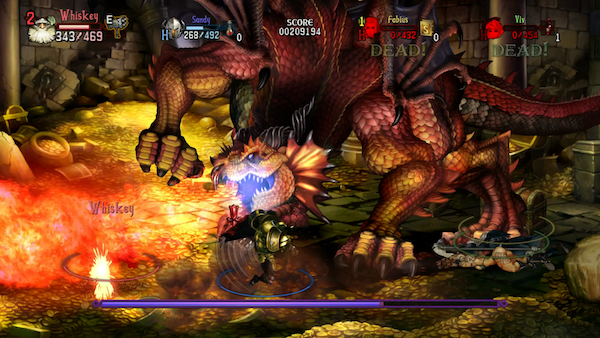 March­ing into a dun­geon and smash­ing some liv­ing skele­tons into dust is a sta­ple of any great brawler RPG and there are few bet­ter expe­ri­ences than the orig­i­nal Dragon’s Crown. Orig­i­nally an extremely gor­geous game, this remas­ter takes each of the artis­tic ele­ments of the game and cranks them up to eleven. Sport­ing both sound and visual remas­ters, Dragon’s Crown Pro is def­i­nitely the ver­sion to own if you’re sport­ing a shiny new 4K TV in your liv­ing room. Vir­tual real­ity has often been used to insert play­ers into sit­u­a­tions that would oth­er­wise be impos­si­ble. 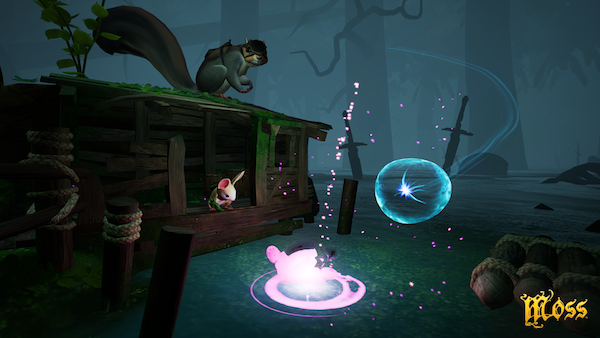 Moss, one of the newest PlaySta­tion VR titles, goes about this in a slightly dif­fer­ent way. Instead of mak­ing the player the focus, each stage of the game is a sort of inter­ac­tive dio­rama. 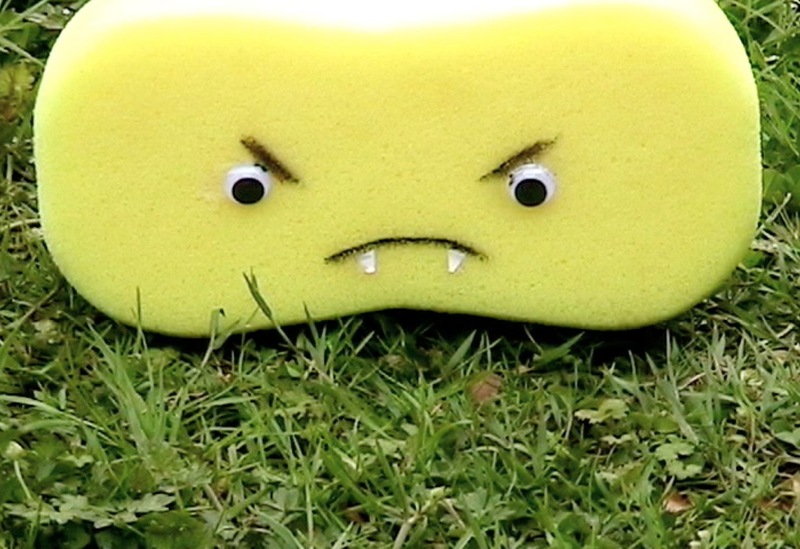 Con­trol­ling the adorable mouse pro­tag­o­nist Quill, play­ers can make their way envi­ron­men­tal puz­zles by inspect­ing every nook and cranny of the tiny world set in front of them. It cre­ates an expe­ri­ence that feel unique to VR and facil­i­tates a new sort of immer­sion that is the breath of fresh air that VR needs right now. Insert­ing one­self into the action of a video game is what makes vir­tual real­ity such an immer­sive expe­ri­ence. Bul­let hell games are scary enough as it is, tak­ing place on a 2D plane while tons of bul­lets head towards a tiny ship. 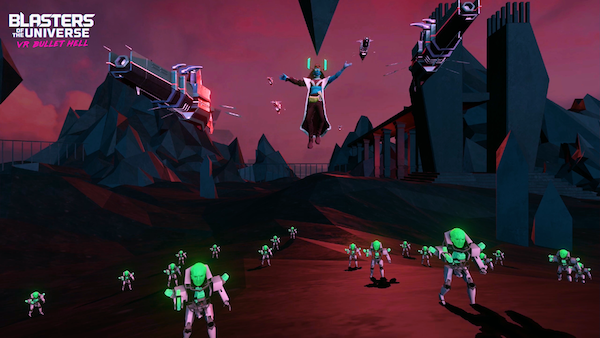 Thrust­ing this con­cept into the first-person per­spec­tive of a VR shooter, Blasters of the Uni­verse takes the brain-busting space man­age­ment of a bul­let hell game and forces you to stare help­lessly as the sea of bul­lets slowly drift towards you. One of the smoother-controlling shoot­ers I’ve played in PSVR, while rel­a­tively short, it offers plenty of chal­lenge that will have you com­ing back for more. Crash­ing down on us in 2014, The Fall was a fas­ci­nat­ing adven­ture game with some admit­tedly clunky com­bat. The story mainly con­sisted of a com­bat suit with arti­fi­cial intel­li­gence, named A.R.I.D. search­ing for med­ical atten­tion for the passed out human inside of it. In a major twist, stop read­ing here and go play The Fall if you haven’t already, the suit turned out to be empty the whole time and her whole pur­pose has been made null. 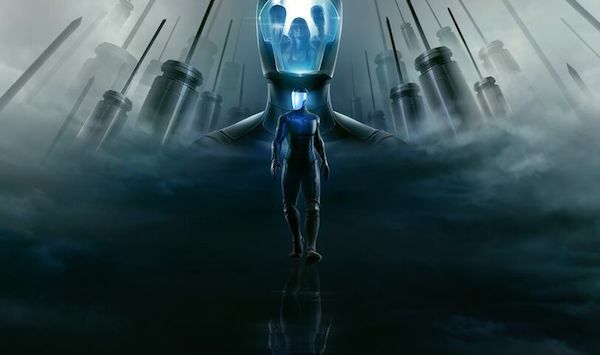 As you might expect, I was eager to see where the story went from there and The Fall Part 2: Unbound does cer­tainly go in some inter­est­ing directions. Video games always seem to involve char­ac­ters resolv­ing their prob­lems with their fists or guns. Some­times, is it a smarter choice to use your words? This is the hypoth­e­sis that Oh… Sir!! 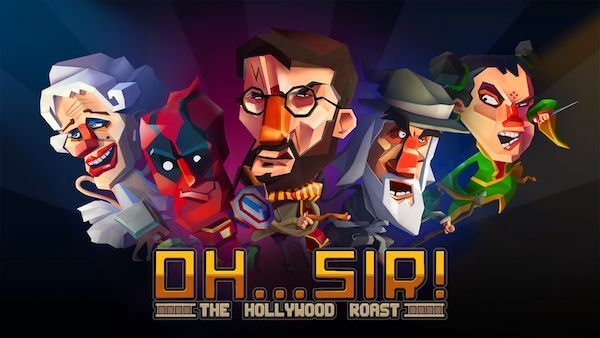 The Insult Sim­u­la­tor and Oh… Sir! The Hol­ly­wood Roast seek to answer. Tak­ing a brand new spin on fight­ing games, these games pit two char­ac­ters against one another in a bat­tle of words that can only end with one victor. Table­top gam­ing has been some­thing I’ve only got­ten deeper into with the last few years, while my video game hobby has been around since I could hold a con­troller. Since I started get­ting more into play­ing board games, I’ve been excited to see the two types of games blend together. There has been no bet­ter exam­ple of this con­cept than Hand of Fate. Tak­ing some core con­cepts of table­top gam­ing, like draw­ing cards for ran­dom chance encoun­ters, and mix­ing them with video game con­cepts like real-time com­bat encoun­ters, it worked sur­pris­ingly well. 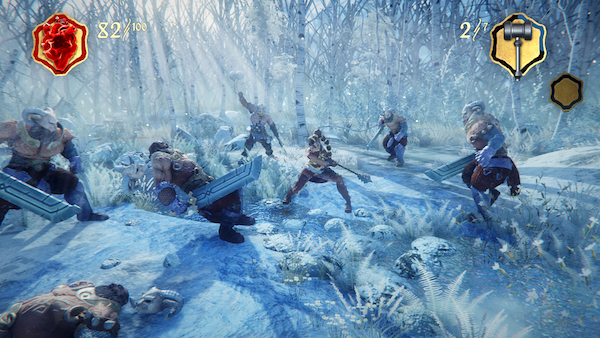 Hand of Fate 2 takes all of this and expands upon every­thing adding more ele­ments and improv­ing the over­all struc­ture of how the game is played to make for an even bet­ter blend.